How Long Does the Eviction Process Take in Alabama? Though this is a topic we cover fairly regularly, we feel as if eviction is something that we are routinely asked about and that deserves careful consideration. Evicting a tenant in the wrong way can have dire legal repercussions for the landlord and can result in outstanding fines, loss of rights to the property, and a significant amount of headache. To avoid any consequences of a wrongful conviction, you need to take all the proper steps to get someone off your property which, unfortunately, can take a while. In the best case scenario, an eviction can take as little as 19 days, but in the worst case, it can take months. How long it takes depends on when you decide to respond, what steps you take, and how the tenant responds to your actions. In Alabama, a landlord can pursue one of two routes to eviction: unlawful detainer or failure to vacate. 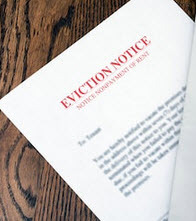 Unlawful detainer proceedings (which would be categorized as a civil eviction) require that the landlord give the tenant written notice to vacate the property. 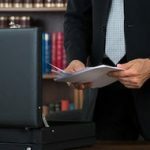 Once the notice period has expired, and if the tenant has yet to vacate the premises, the landlord can then proceed to file a lawsuit against the tenant. Failure to vacate proceedings (criminal proceedings) require that the landlord provide the tenant with 10 days written notice to vacate the premises. This type of eviction may only take place in the case of nonpayment of rent. If the tenant does not leave the property after receiving the 10-day warning, the landlord may turn to the courts for intervention. The courts may charge the tenant with a misdemeanor as well as up to $25 for every day he or she remains on the property—in addition to the rent owed. Serve a seven-, 14-, or 30-Day Notice. To begin the eviction process, a landlord must submit written notice in person or via a process server that details the reasons for the eviction. A seven-day notice is acceptable in instances of non-payment of rent. A 14-day notice is required for breaking the terms of the lease, and a 30-day notice is mandatory in the cases of month-to-month leases. During the notice period, tenants are given an opportunity to “cure” the indiscretion (pay rent or fix the issue). If the problem is outstanding rent, and if the tenant pays the amount due or a lesser amount agreed upon by the tenant and landlord, the notice will become void. File and Serve a Summons and Complaint for Unlawful Detainer. If the notice period passes without the tenant attempting to cure the issue, the landlord may file and serve a Summons and Complaint for Unlawful Detainer. Once this notice has been served, the tenant has up to 14 days to respond for non-payment of rent and up to seven days for all other issues. Failure for the tenant to respond will likely result in the judge ruling in favor of the landlord. A Hearing May Take Place. If the tenant does respond or object to the notice, a hearing will be held in front of a judge. Both parties will be given an opportunity to explain their side of the story. Ultimately, however, it is up to the landlord to prove that notice was served legally and that the tenant breached his or her duty. A Judgement Will Be Made. If the judgement is in favor of the landlord, the tenant will have seven days to appeal the ruling. Once the seven-day appeal period passes, the landlord can obtain a Writ of Possession, at which point a sheriff may forcibly remove the tenant. Tenant May Still Appeal the Decision: If the tenant appeals the decision, he or she may remain in the home but must pay rent during the process. Disposing of Possessions: If the tenant loses the appeal and leaves possessions of the property, the landlord is required, by law, to wait 14 days before disposing of the items. As you may have gleaned from this post, the eviction process in Alabama is relatively drawn out, and it can take a landlord weeks to months and a considerable amount of resources to get a tenant off his or her property. For this reason, the best route to eviction is to work it out with the tenant. More often than not, tenants are willing to leave once they realize a landlord does not want them on the property. 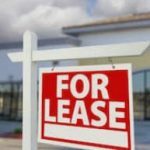 Unfortunately, if a tenant is unwilling to vacate the property or come to an agreement, the landlord may have no choice but to follow the above steps. If you rent property in Alabama, the best thing you can do is have an experienced attorney on retainer. It is better to understand your rights before you rent out your property than after it is rented, when your rights become limited. Contact the Birmingham eviction lawyers at Cloud Willis & Ellis today to learn more.